The December issue of the Kansas Sunflower Auctioneer is hot off the press. 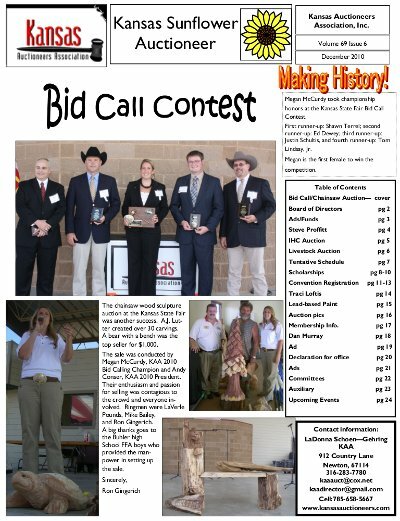 This edition features news from the Kansas Auctioneers Association bid-calling contest held at the fair, membership information, regional meeting information, entry forms for upcoming events and and articles by officers, staff and syndicated columnist Steve Proffitt. Members of the KAA can download the Sunflower from the members’ section.